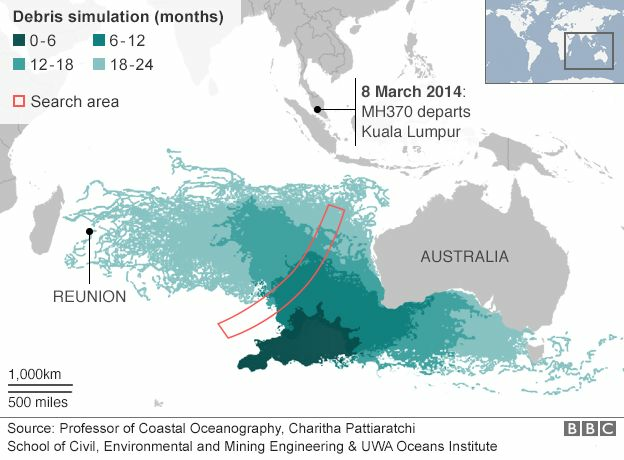 Flight MH370 most likely made a rapid and uncontrolled descent into the Indian Ocean, a new report says. The Boeing 777 disappeared while flying to Beijing from Kuala Lumpur with 239 people on board in March 2014. Despite an extensive search no trace of the plane’s fuselage has been found. 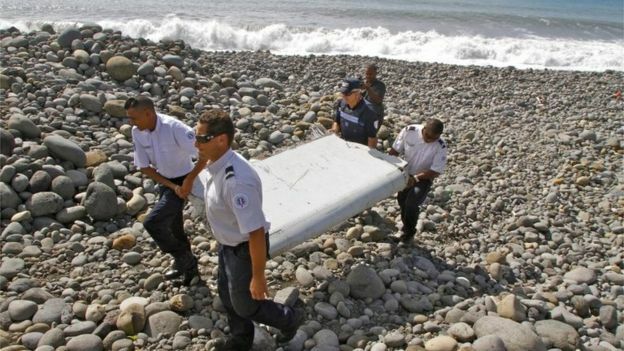 But the Australian Transport Safety Bureau (ATSB) said analysis of two recovered wing flaps showed they were not in the landing position when the plane went down in the Indian Ocean. Satellite data also indicated a “high and increasing rate of descent”, said the report. “You can draw your own conclusions as to whether that means someone was in control or not,” the ATSB’s search director Peter Foley told reporters. The release of the report comes as a team of international aviation and communications experts gather in Canberra to discuss the next stage of the search for the plane. A 120,000 sq km area of seabed has already been scoured by China, Australia and Malaysia. Barring a major new discovery, the search is due to end early next year. So far only seven of the 20 pieces of recovered debris have been identified as definitely or highly likely to be from the missing plane. 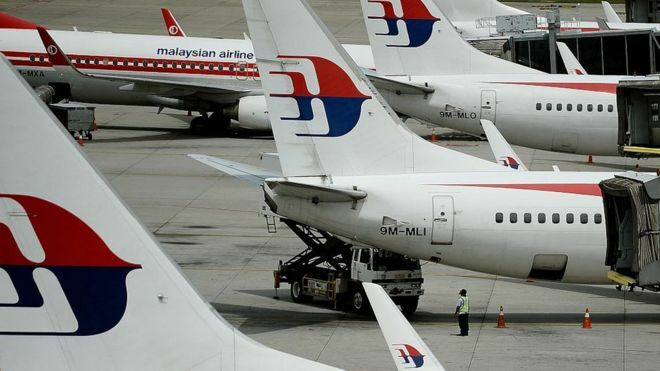 The new report says a wing flap which carried MH370’s unique numbers was “most likely in the retracted position at the time it separated from the wing”, meaning it had not been readied for landing. The report also used mathematical models and replica parts to work out how the confirmed debris might have moved through the water, and so where the plane most likely came down. It said all the analysis indicated the debris came from “within the current search area or further north”, indicating the bureau could be considering the growing calls to extend the zone. But Mr Foley stressed that the bureau was “very reluctant to express absolute certainty”. “You can never be 100%,” he said. Australia’s Transport Minister Darren Chester said the Canberra meeting would “inform the remainder of the search effort, and develop guidance for any future search operations”.